Mentoring Creates a Lasting and Treasured Personal Bond < Presenting Yourself and more . . .
Mentoring means different things to different people. Very large organizations have mentoring programs in which a more experienced and knowledgeable executive is paired with a more junior person. Sometimes the mentor evolves into a sponsor, who advocates on his protégés’ behalf, connecting him to important players and assignments. Mentoring can take place at any time during your career – in your first job, or as you’re transitioning into more senior management positions. In our experience the most successful mentoring relationships happen organically. You can’t force them. 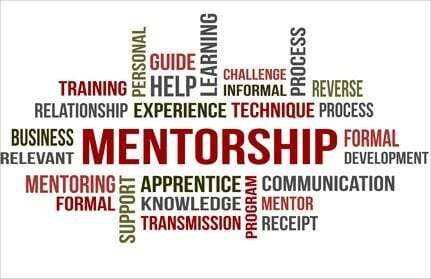 A good mentor is as important as a good teacher who will long be remembered for how she helped someone starting out to advance her career. At a Tony Awards ceremony, Kelli O’Hara, winner of best actress for her role in “The King and I,” acknowledged her beloved Professor of Music at Oklahoma City University, Florence Birdwell. Mentoring is a two-way street. Mentor and mentee support each other. Helping someone is a great feeling and creates a win-win for both parties. If you’re the mentee, how you present yourself is key to the relationship. You are a reflection of your mentor and you want her to be proud of you. Often your mentor will be your boss. The chemistry is right and you’ve shown that you value his advice and counsel. You seek his opinion and feel safe in being vulnerable when you have a problem to share or you admit to not knowing how to do something. You know your mentor won’t consider not knowing how to do something a weakness but that a weakness is an opportunity to help you sharpen your skills. You may become friends with the mentor, but you must always be professional in everything you do because the mentor is putting her reputation on the line by putting her faith in you. A mentor will be generous in pointing out ways that you can add to the circle of connections. For example, by joining a professional organization you can further your career goals. Then she’ll get the company to foot the bill for your membership and meetings. Now, that’s a good mentor! That’s because I knew I could always count on her being there for me. A mentor’s impact on your life lasts forever. Phyllis is gone now, but I still feel her influence in my daily life. 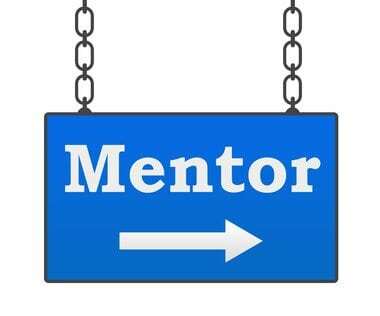 Have you had a fulfilling experience as a mentor or mentee? Please share it with our readers in the comment box. Throughout my corporate career, I was fortunate to have had many inspiring mentors, people who took me under their wings and coached, motivated and challenged me. And, I’ve had the opportunity to do the same as well. It’s a rewarding experience from both sides. Business owners, entrepreneur and employees will more likely to succeed if they have an effective mentor. In fact, most successful people attribute their success to their mentors. Working with an effective mentor can help improve your confidence and develop your skills. I am very thankful to have a mentor who guided me towards the right path and motivated me during difficult times.